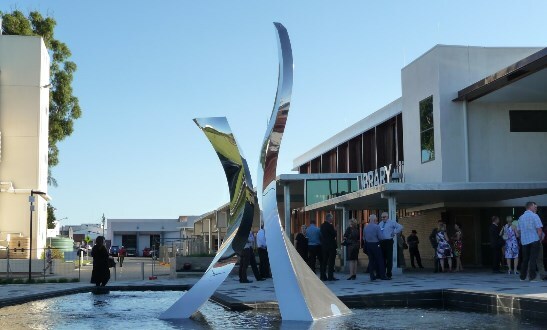 Confluence features outside Toowoomba’s newly built City Library, which opened to the public on the 27th of March. The commissioning process started ten months ago and Confluence was chosen from a number of proposals. Urban Art Projects who managed the process also undertook the fabrication and produced a beautiful outcome. The artwork makes reference to the two creeks that flow through the city. All contents ©2013 Benjamin Storch. ... ... Wordpress Theme ©2013 Visia. All Rights Reserved.